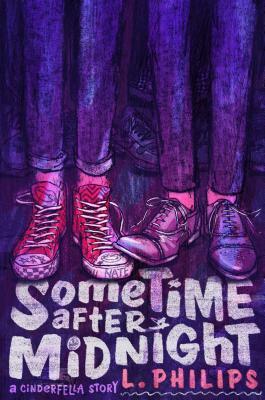 Late one night in a dingy Los Angeles club, Nate and Cameron meet and discover they have much more in common than their love of an obscure indie band. But when Nate learns that Cameron is the heir to a soul-sucking record label—the very one that destroyed his father’s life—he runs away as fast as he can. The only evidence of their brief but intense connection is the blurry photo Cameron snaps of Nate’s Sharpied Chuck Taylors. When Cameron’s sister Tess—a famous model and socialite—posts the photo on Instagram for her legions of fans, the internet just about breaks with the news of this modern fairy tale. “Anyone know the owner of these shoes?” she writes. “My Prince Charming brother is looking for his Cinderfella!” But while the viral sensation begins to bring the pair back together, their own demons and pasts might get in the way of any happily ever afters . . .
L. Philips went to Ohio University for a degree in music education, decided that job was entirely too noisy, and became a librarian instead. When she’s not working, she enjoys belting out show tunes when she thinks no one is listening and watching the same episodes of Thomas the Tank Engine over and over (or at least that’s what she tells her toddler son). She lives in Ohio and is the author of Perfect Ten.